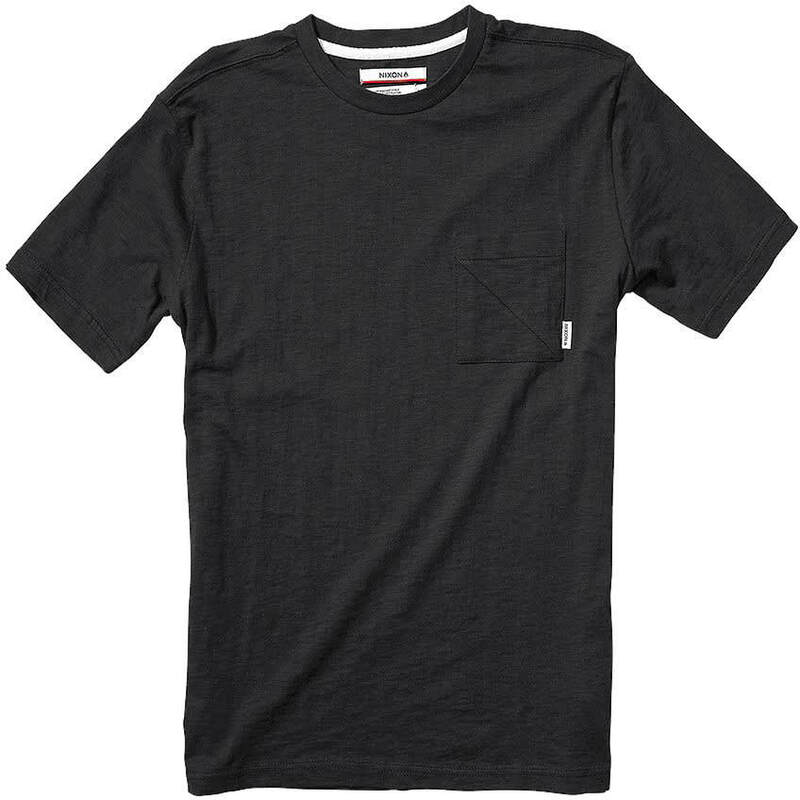 If simple is your style then go with the Nixon Westgate T-shirt. One is an all black with white accents, and the other is indigo with an orange camouflage pocket. Your soon to be, favorite staple piece.